Reasonable folk have been saying for weeks that Apple will ship OS X Mountain Lion, the next-generation Mac operating system, the day after the company announces results for its third fiscal quarter — just like it did last year with OS X Lion. That said, we are now getting confirmation that the Mountain Lion launch will indeed happen a week from Wednesday. Well, confirmation of a kind. Yes, Tapscape reported a rumor couple weeks back that Apple would deliver OS X Mountain Lion on Wednesday, July 25, and a reliable source is now seconding that. Though nothing is certain until you can click “buy,” 9 to 5 Mac has heard that Apple Stores will be hold an overnight work/set up session on July 24, a happening that often precedes new products. Given that the mothership has said that the Mountain Lion launch is coming in July, it seems a fairly safe bet that we’ll be seeing it on Wednesday the 25th. The unknown bit, however, is whether or not additional products will ship at the same time. Apple has already updated its MacBook Air and MacBook Pro product lines, and has promised a Mac Pro update next year, which leaves the iMac and Mac mini as yet untouched so far in 2012. 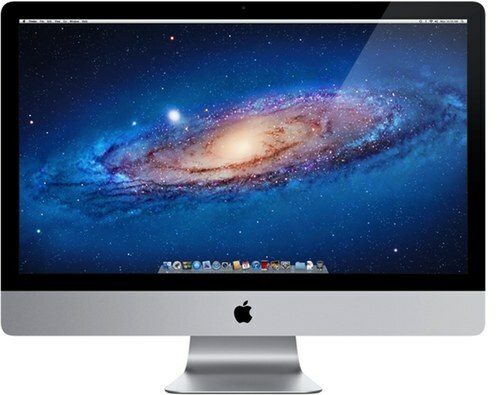 Whereas many observers say the 2012 iMac won’t arrive until the Fall, last year, Apple updated the MacBook Air and Mac mini on the same day it shipped OS X Lion.